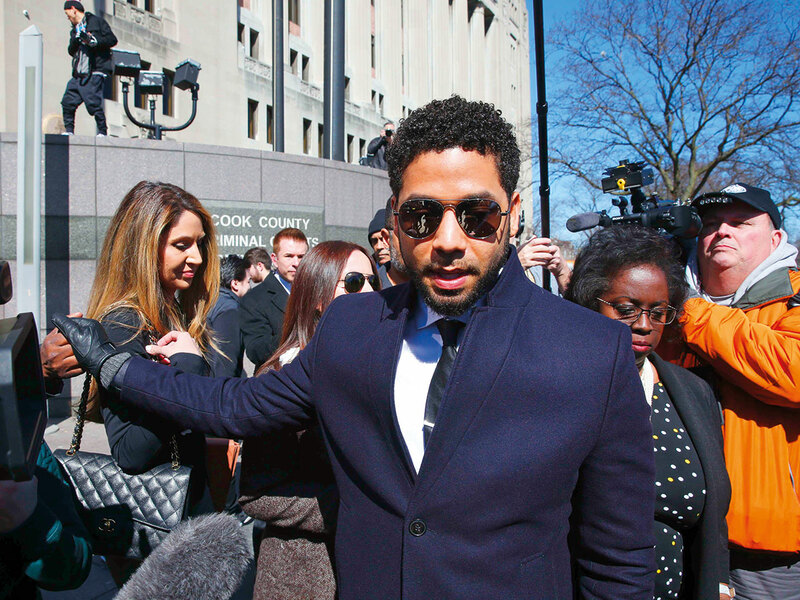 Prosecutors still insist Jussie Smollett faked a racist, anti-gay attack on himself in the hopes that the attention would advance his acting career. The ‘Empire’ star still says he was assaulted by two men late at night in downtown Chicago. But with little explanation, authorities on Tuesday abruptly dropped all charges against Smollett, abandoning the criminal case only five weeks after the allegations were filed. In return, prosecutors said, the actor agreed to let the city keep his $10,000 (Dh36,724) in bail. “This situation is totally bizarre. It’s highly, highly unusual,” said Phil Turner, a Chicago defence attorney and former federal prosecutor with no ties to the case. Smollett reported that he was attacked around 2am on January 29 on his way home from a sandwich shop. Investigators said he made the false report because he was unhappy with his pay on ‘Empire’ and believed it would promote his career. Smollett said two masked men shouted racial and anti-gay slurs, poured bleach on him, beat him and looped a rope around his neck. He claimed they shouted, “This is MAGA country” — a reference to President Donald Trump’s ‘Make America Great Again’ campaign slogan. He asserted that he could see one of the men was white because he could see the skin around his eyes. The men were brothers Abimbola ‘Abel’ and Olabinjo ‘Ola’ Osundairo, and one of them had worked on ‘Empire.’ An attorney for them, Gloria Schmidt, has said the brothers agreed to help Smollett because of their friendship with him and the sense that he was helping their careers. They declined to comment. Before the attack, police said, Smollett also sent a letter threatening himself to the Chicago studio where ‘Empire’ is shot. The FBI, which is investigating that letter, has declined to comment. Fox Television, which produces ‘Empire,’ issued a one-sentence statement late on Tuesday saying only that the company was “gratified” that the charges had been dropped.